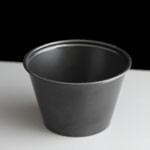 We offer a range of Deli or Sauce pots from the small 1oz up to large 8oz pots plus lids to fit each different size. 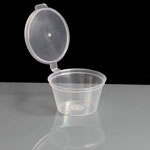 They represent a great way to portion control sauces and dips. 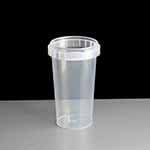 Use to serve tasters at festivals and food fayres, or simply to give your customers sauce with their meals. 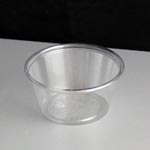 The larger 4 and 5oz pots can also be used as moulds for individual desserts too. 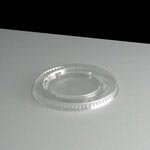 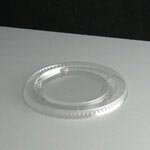 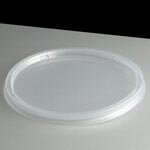 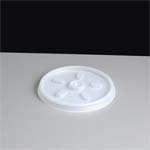 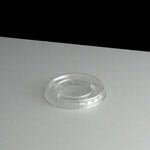 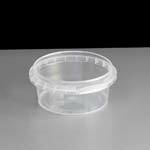 Deli or Sauce pot lid to go with the 4oz or 5.5oz deli pots above. 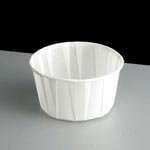 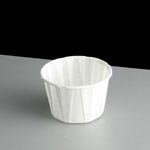 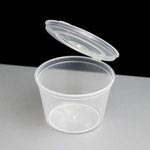 Paper Deli Pots in 1oz, 2oz and 4oz sizes - lids are not available for these pots. 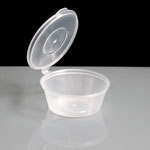 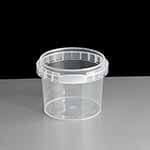 Plastic Deli Pots: 1oz, 2oz, 4oz and 5.5oz sizes all available with lids. 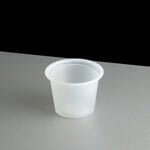 2oz and 4oz available in black or white in colour. 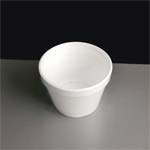 1oz and 5.5oz pots available in white only. 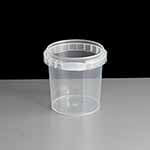 Hinge Lid Deli Pots: 25ml, 35ml and 100ml, all are leakproof and almost clear in colour.